Banana flower is cooked and enjoyed all over south India. Cleaning is the time consuming part of cooking this delicious and nutritious vegetable . I find this post Clean banana flower very useful. Banana flower thoran is my favorite kerala preparation but i like to make this vada to once a while. Soak moong and chana dal for few hours. Clean and finely chop the banana flower and soak in water. Grind the dal coarsly with salt and few tbsp water. Mix in chopped banana flower, cumin, curry leaves and green chill. Heat oil in a deep pan to 350 F.
Make small vada or patties and deep fry to golden. Serve hot with any dip of choice. Love this crispy beauties,feel like munching some. 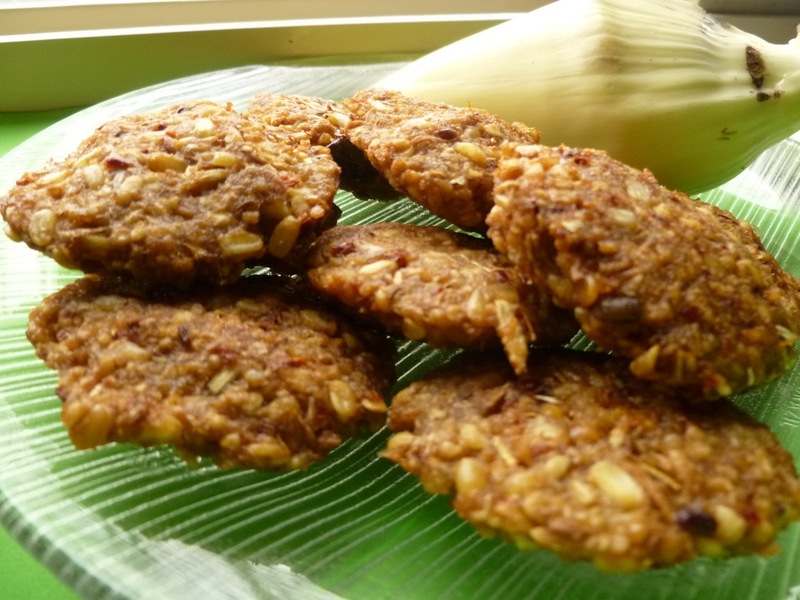 Looks delicious and crisp..never tried fritters with banana flower..bookmarked! looks so tempting and crispy...Thanks for visiting in my space...following you..
New to me,healthy and delicious fitters. hi you have a nice blog with wonderful clicks. I have just started following you and it would be highly encouraging if you may follow me back too.